Celebrate 50 Years of Epiphone's Classic Casino! 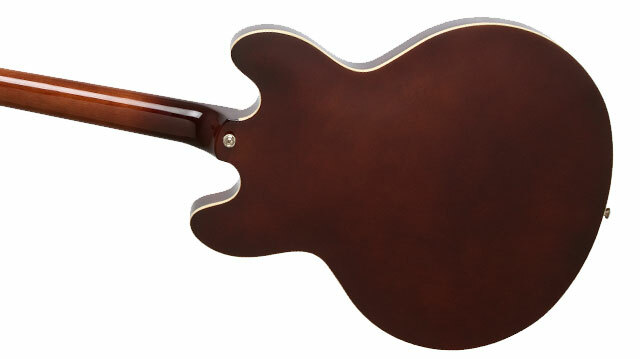 Introduced in 1961, the original Casino had unique features that ultimately were never offered beyond that first year including the pre-Gibson era triangle metal logo badge on the headstock, "dot" fingerboard inlays, a blank two-ply "bullet" truss rod cover, a tortoise-colored pickguard with foil "E", and black dog-ear P-90 pickups. Epiphone has faithfully reproduced these features for a one-of-a-kind retro look not found on Casinos produced after 1961. 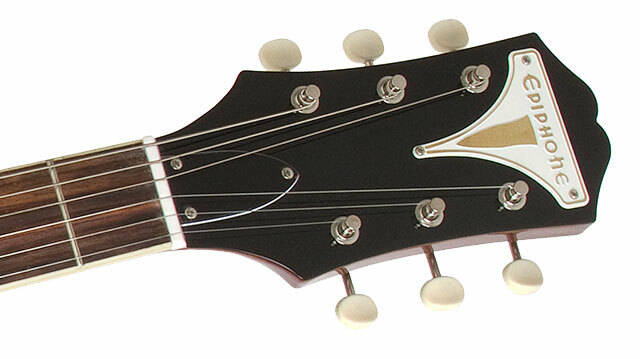 Other details includes the correct "burst" patterns on front and back, a neck joint at the 16th fret (instead of the 17th), Wilkinson™ vintage-style machine heads with white buttons, and the historically accurate rectangle "blue label" inside the sound hole.